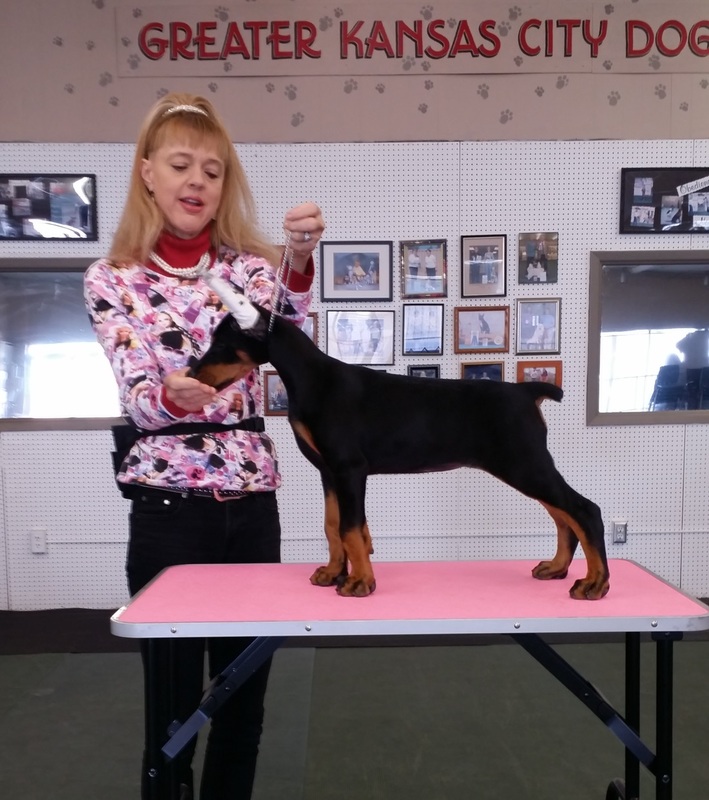 We won't brag about the top dogs in our past pedigrees until we show you what our own dogs have done to continue the quality our families expect in their companion or work/show Dobe. 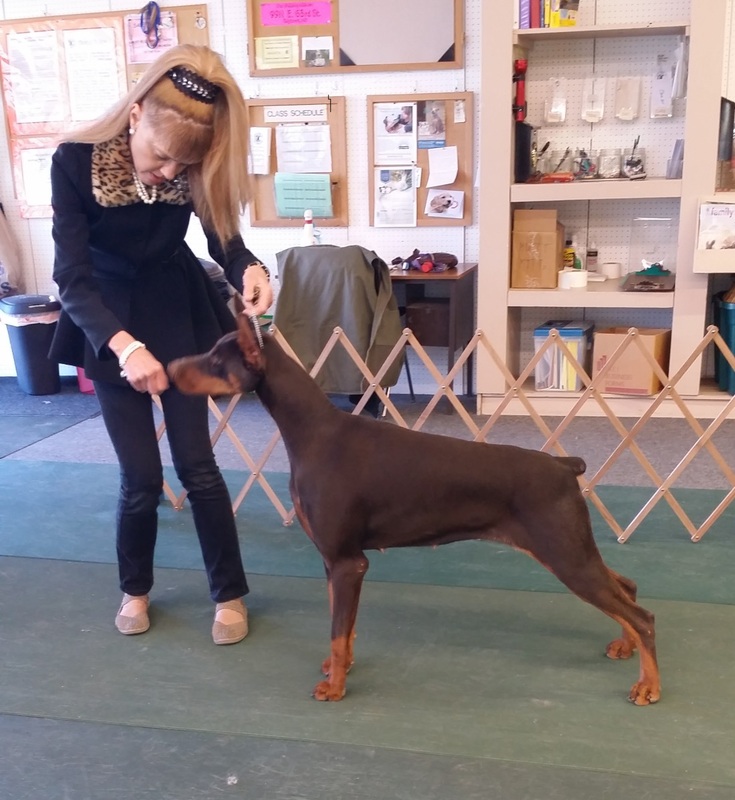 Our Dobermans are Vwd clear and DNA profile on record with AKC. They are bred to work, show and play - Much more than just a pretty face. 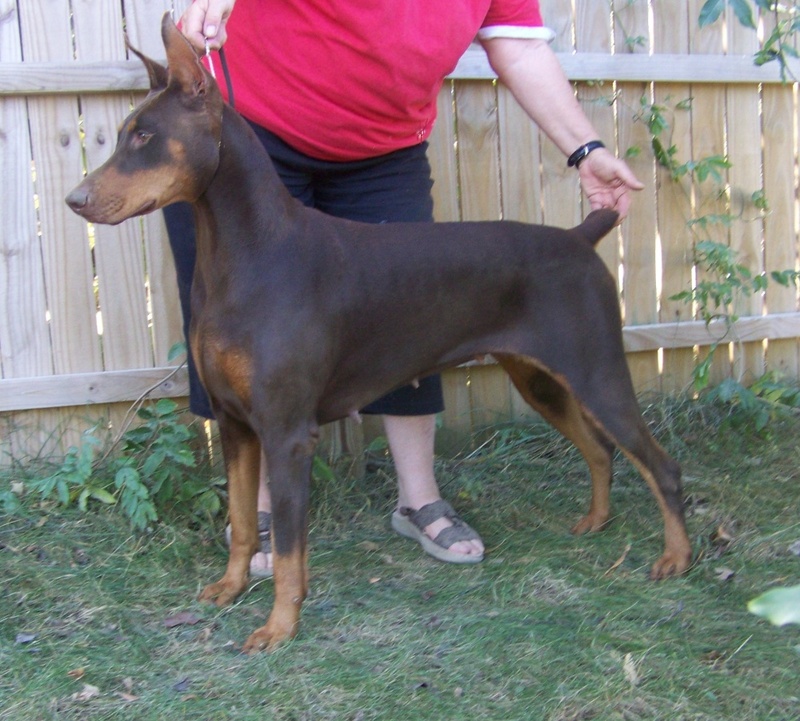 Breeding both Euro Top Working Doberman Pinschers and American Show lines, or if you just want a wonderful family companion our dogs are exceptional. Our girls are all strong in conformation, working and protection attitude. Loving yet always alert to everything around them. Eika is out of Echo who carries our foundation pedigree for our girls. 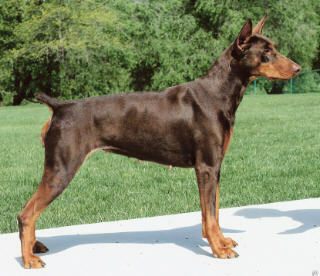 Eika's sire is Ayla's Grandsire- Otherton's Oberon at Zeigeist (AKC ptd). Bree is an Eika Daughther and was our pick of the litter. London is a Bree Granddaughter out of Helio's 2nd litter 2014. She is shown here by Paula who will be handling her.